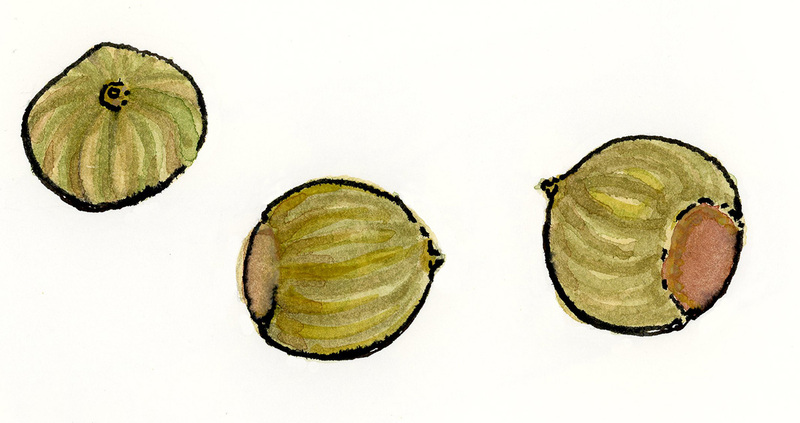 Pencil, watercolour and pen & ink, 5" x 8"
This sketch is of three seeds (or nuts?) that I picked up from the grounds of MIT (Massachusetts Institute of Technology) in Boston. We visited Boston during our Thanksgiving long weekend back in October, 2012. It was our first visit.